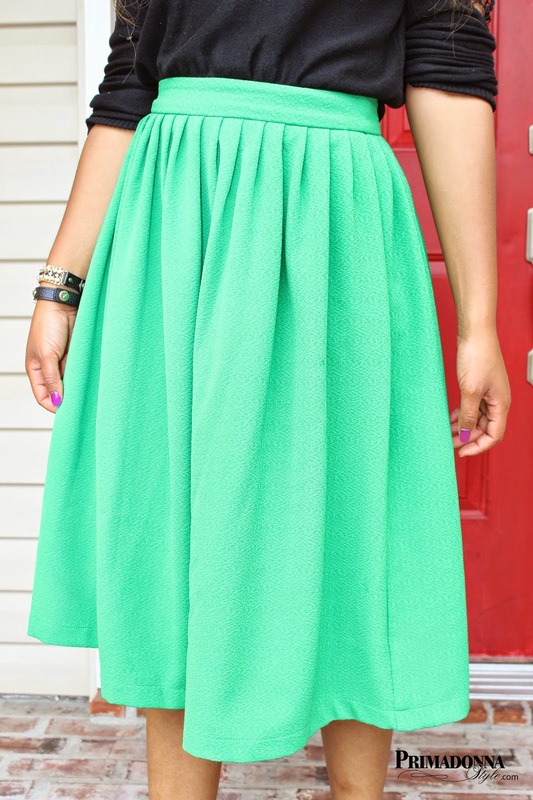 A dreary rainy day calls for a shot of color; like this kelly green midi skirt with full pleats and vintage appeal. Shop ASOS.com- Get Free Standard Shipping and Returns! 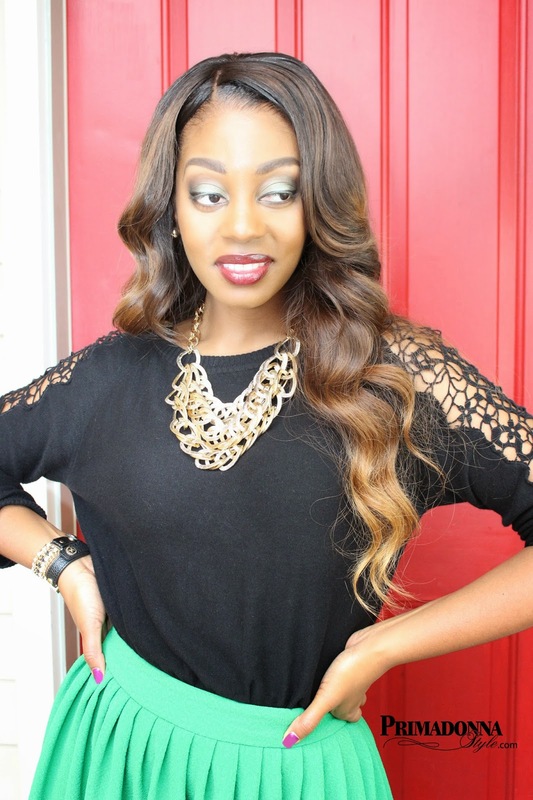 A simple color combo that works every time: kelly green, black, and a warm leopard print. Mix it any way you like, and add gold accents to complete the look. I looove that color on you, I need one of those skirts in my life! Great combo :) And thanks for stopping by my blog, let's stay connected!